You have to build reserach facilities and then research Fleet logistics. 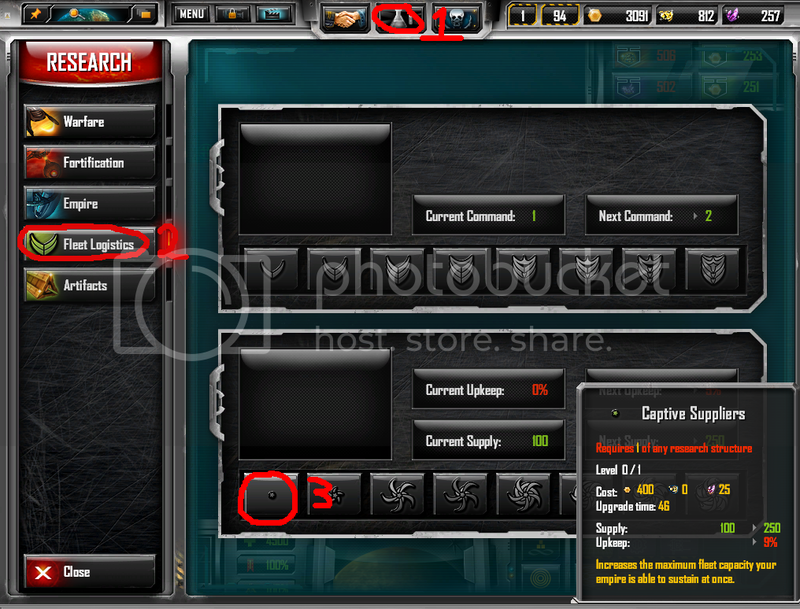 The top one is for capital ship slot; the bottom is for supply. in other news...there are 4 guided tutorials that ship with the game. i recommend playing through them. you'll learn not just nuts and bolts like how to research fleet logistics upgrades, but also learn some of the finer points of the interface and other useful things. Be careful when upgrading fleet logistics. Each logistic upgrade will take a significant amount of your economy and there's no going back to the previous level.